Comment: Replace existing plastic roof (32' x 12') over back door patio. Comment: The canvas needs replacing on a crank type awning. Comment: I am in the process of getting estimates for metal awnings replaced. Portland Awning Companies are rated 4.75 out of 5 based on 47 reviews of 4 pros. 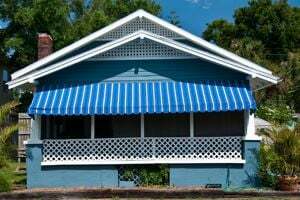 Not Looking for Awnings Contractors in Portland, OR?